Roughing it in the urban jungle never looked so good as with a Scout Messenger Bag from STM. The good folks over at STM sent over a sample and we put it to the test. 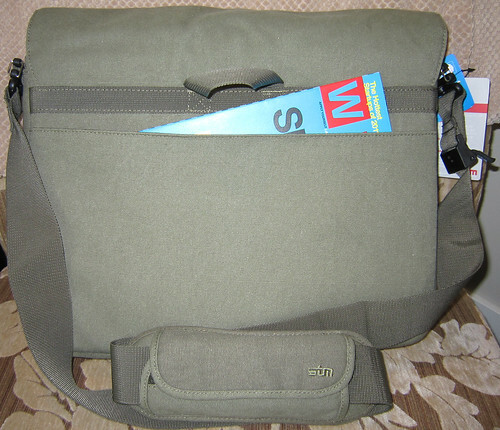 The Scout Laptop Messenger by STM is a classic canvas messenger bag with a modern edge. It's a little bit vintage nostalgic - a little bit hipster - and a lot of good design. Think...Boy Scout meets Ashton Kutcher. That said, I would classify this bag as unisex - I coveted this bag the moment I saw it. But since my brother also fell in love with it instantly, I've included it in the man-bag line-up. The Scout comes in black and olive - the lovely Adam from STM sent me the olive Scout in the medium size (it also comes in small and extra small). The bag's exterior is made of soft, water-resistant canvas, and the lining is water-resistant nylon. 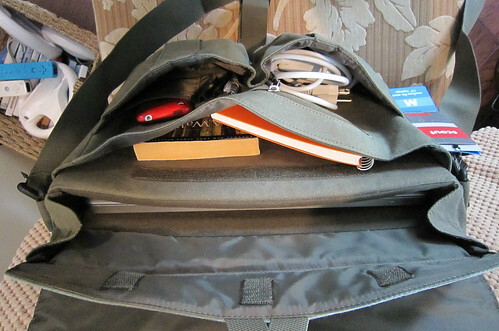 It's not a bag meant to carry everything and the kitchen sink, but it's got ample room for your electronic accessories, a few books and, of course, your laptop. The Scout features four primary storage areas. Under the flap, there are two deep, open pouches and a zippered pocket. My iPod and phone fit in one for easy access, and my cords fit nicely in the other. There's only one zippered pocket, so you can put your wallet and keys away and can easily locate them later. The large front compartment will hold a notebook, a book, a snack and your Swiss Army knife - everything you need to get through the day. My MacBook Pro easily fit in the cushioned laptop compartment. I especially like the fact that there's a cushioned flap that secures around the entire top edge of my laptop - here in rainy Vancouver, my computer needs all the protection it can get. Tucked into the Scout, my laptop looks very cozy. It also looks really cool when it's packed up. 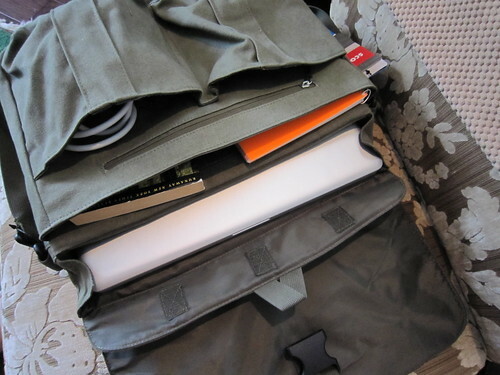 At the back of the bag, there's a large, flat pocket, perfect for holding a couple of magazines. If you are tall or have a sturdier build, then you're probably looking for a shoulder strap you can wear comfortably across your chest. The Scout has one of the longest straps I've encountered. It's an adjustable shoulder strap with a comfy (and removable) shoulder pad. The strap maxes out at approximately 60" (including the very nice hardware that connects it to the bag). It's a very comfortable bag to wear when loaded it up with all my gear. The Scout boasts high-quality fabric, sturdy stitching, excellent design in terms of both form and function. 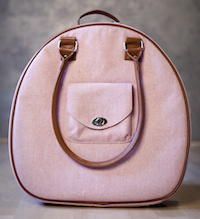 I imagine that any college student would love this bag for the upcoming school year. It's also perfect for any professional whose workplace doesn't have a corporate dress-code. The Scout Laptop Messenger by STM retails for about $69.95 - they don't sell directly from their website but they do provide links to both online and brick and mortar stores where you can scout the Scout. Happy trails!